Kangertech Ripple Subohm Tank comes with 3.5ml e-juice capacity and 25mm diameter. The integrated 0.18ohm NR Mesh coil will produce huge clouds and intense flavor. 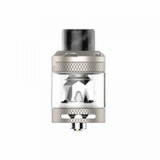 What's more, it adopts slide-to-open top filling system, making it easy to fill e-juice. 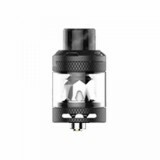 The 810 drip drip, bulb glass tube together with other accessories will bring convenience for your vaping. Kangertech Ripple Subohm Tank comes with 3.5ml e-juice capacity and 25mm diameter. The integrated 0.18ohm NR Mesh coil will produce huge clouds and intense flavor. 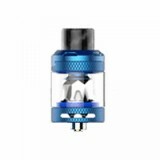 What's more, it adopts slide-to-open top filling system, making it easy to fill e-juice. The 810 drip drip, bulb glass tube together with other accessories will bring convenience for your vaping. It can perfectly suit Kangertech Ripple 200w Mod!